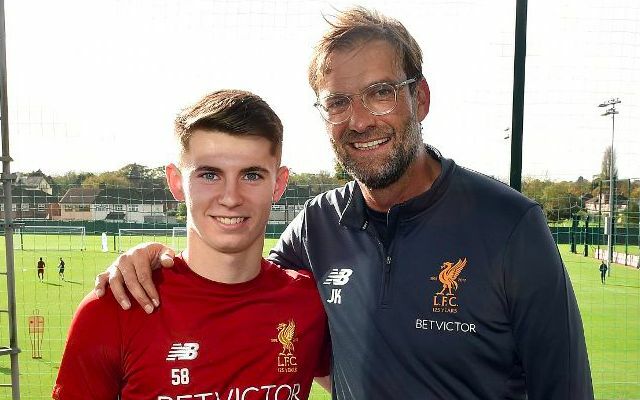 Liverpool are contemplating sending Ben Woodburn out on loan to Hull City for the remainder of the season ahead of the January transfer deadline. The Welshman recently returned to Merseyside after seeing his temporary stint with Sheffield United cut short on the back of him managing just eight appearances across all competitions. An ankle injury proved the defining factor in his early recall, although his recovery could now see him secure another taste of senior football. Hull City have emerged as Liverpool’s preferred suitors, according to Goal.com’s Neil Jones. This is likely down to the success Harry Wilson enjoyed during his time at the KCOM Stadium over the second half of the 2017/2018 campaign. Wilson scored seven goals and registered four assists in 13 Championship outings to play a pivotal role in Nigel Adkins’ side avoiding relegation. Jurgen Klopp will undoubtedly look for guaranties over the 19-year-old’s playing time before allowing him to leave Liverpool this month. The club has previously installed financial punishment clauses in Marko Grujic and Divock Origi’s respective loan deals with Cardiff City and Wolfsburg as a way of securing them regular minutes. Whilst granting first team football to Woodburn remains a priority, the Reds will be equally prepared to give him the next few months to continue honing his craft as an instrumental figure in Neil Critchley’s U23s side. It’s too early to start being concerned over a lack of playing time for a teenager still in the process of developing physically.